Last edited by Big Ed on Sat Sep 15, 2018 5:48 pm, edited 1 time in total. And campers do not have cars to "safely" store their food? Cannot we just share? Since the backpack parking lot is quite a ways down the road, about quarter mile from the trailhead, perhaps they can justify this, thinking that bears do not frequent the parking lot. Perhaps the FS will reimburse me for car repairs if a bear decides to rip apart my car. In reality, I take little other food to the trailhead, and also take a spare bear can (we actually have four of them) for my car-camping food if needed. But, yes that is a rather interesting sign. North Lake campground gets a fair amount of families and they carry a lot of food if they're there for a week. The campground is configured with a box per campsite. Those that pay to stay there have the right to that bear box for the time they are there, and don't forget turnover with a new group coming in. If I opened up a box on my first day and found other food there, it would go right into the dumpster. 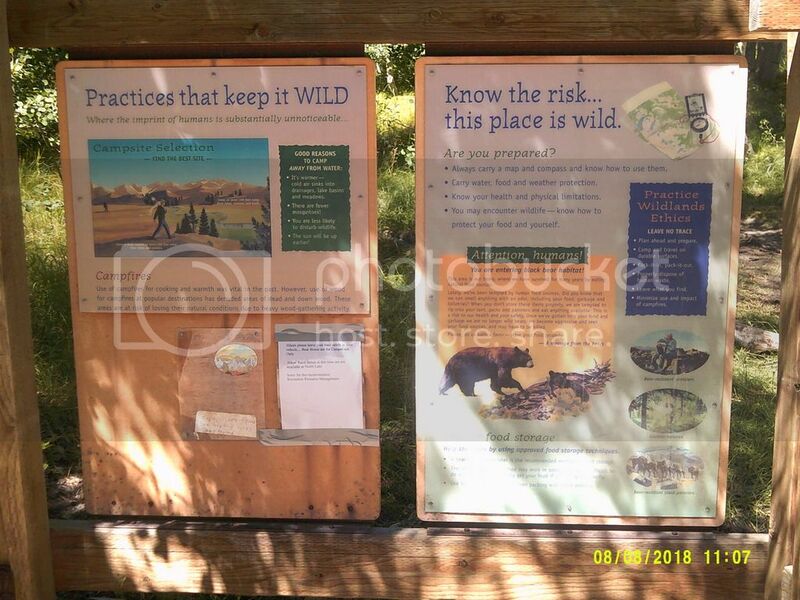 We have to be respectful of the campground but at the same time hound officials to put in the bear boxes at the backpackers/day use parking lot. I too know that they have no bear boxes, so when in Bishop, everything that might stink and is not needed for the trip is dumped in the trash. Never leaving that kind of bear attractant in my truck. Improperly storing food is a cite able offense in the National Forest, and here we have someone from campground management instructing people to do that. Someone is out of the loop! !